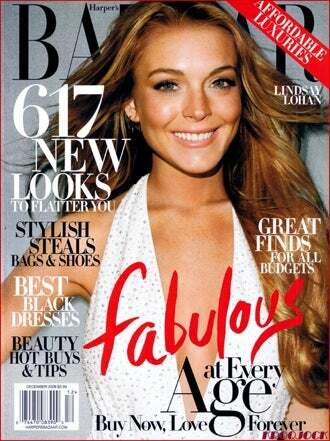 Lindsay Lohan is the Harper's Bazaar covergirl for December 2008, with a photo shoot inside the magazine that shows the starlet looking happier and healthier than she's seemed in a long time. Rocking age-appropriate clothing, shiny reddish hair, and a big smile, Lindsay looks like she's on the right track. See for yourself, after the jump.